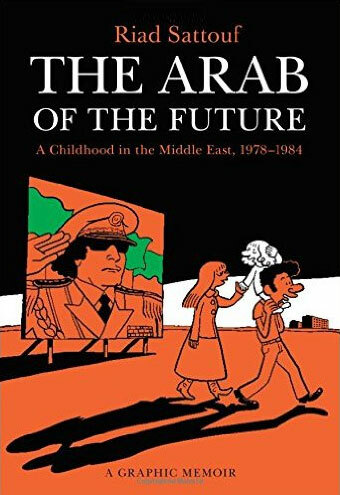 A 2014 bestseller in France before being translated this year, Riad Sattouf’s The Arab of the Future is the first part of a graphic memoir tracing Riad’s early childhood and spanning countries as diverse as France, Libya and Syria. The son of an intellectual pan-Arabist Syrian father and French mother a young, Riad bore witness to the social conditions that have distinguished Libya and Syria under their various authoritarian regimes. Part of a long line of autobiographical graphic narratives or “auto-graphics” such as Persepolisand Baddawi, The Arab of the Future provides a child-eye’s view of both personal familial adventures and public social phenomena. In fact, the child witness in the graphic coming-of-age narrative has often functioned as a figure for exploring the relationship between private familial experiences and the public upheavals in which they are enmeshed. 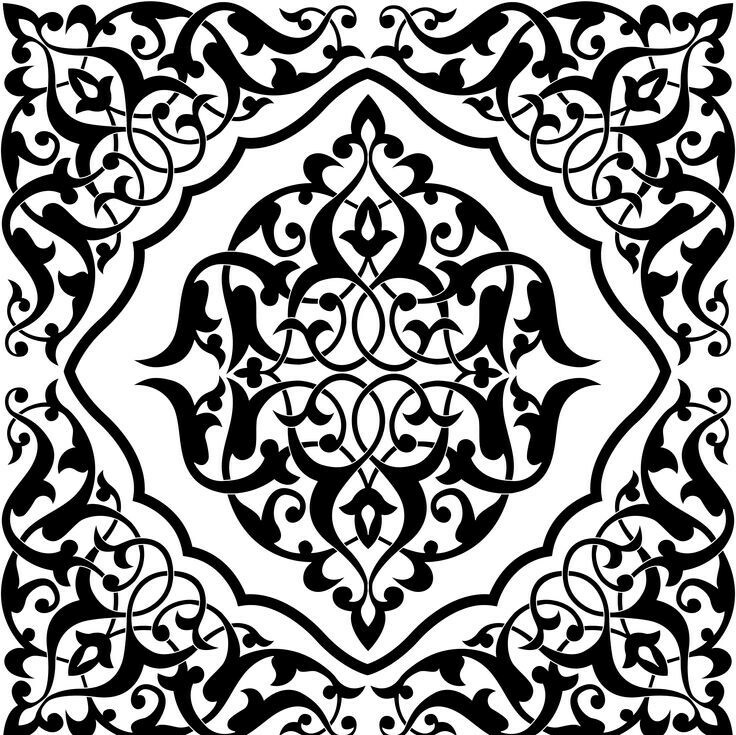 A role that Riad’s work certainly fulfills. While Riad’s father takes teaching posts that have him stumbling across the region with obnoxious enthusiasm, Riad provides a glimpse of his new homes’ idiosyncrasies and hardships through a child’s eyes and a sparse, simple drawing style. In Libya, the family lose their university housing to squatters who invoke Gaddafi’s ban on private property. When it comes to groceries, they must contend with jostling crowds just to buy unripe bananas and Tang. As soon as they land in Syria, they fulfill an age-old ritual in the region: since Riad’s father didn’t do military service, he bribes army officers at the airport to re-enter the country without jail time. A stroll through his father’s village involves wading through rubbish, as well as taunts and attacks from the village children who heap anti-Semitic vitriol upon him because of his blond hair and “foreign” looks. In the same ancestral village, he witnesses something he has never seen before: at the family home, the women sit in a separate room and eat the men’s leftovers. In both countries, the images of Gaddafi and Hafez Assad are plastered everywhere. From destitute, marginalised villages, to anti-Semitism, patriarchy, food shortages and the omniscient gaze of the “Dear Leader” staring out from city walls and billboards, the distinctive marks of burgeoning crisis are captured by little Riad as his father attempts to reconcile him with his Arab heritage. But it isn’t just the young Riad’s blond locks that set him apart – it’s his French mother, his fine European toys and his father’s long estrangement from his homeland. His father’s plans for his son’s integration seem as unsuccessful as his own, since he appears just as much an outsider as the rest of his little family. Riad’s father is often forced back to France with his little family in tow, where people appear richer and livelier to Riad, but where he contends with other issues – his grandfather’s creepy misogyny and strange children at his rural school. Even so, his father is bent on returning to the Arab world, with high-flown pan-Arabist ideals, as he tries to convince himself and his family their dreams are within reach. Except for a few scenes, Riad’s mother is unfortunately a neutral character, a backdrop figure who intervenes with brief, bland comments and questions once in a while. One could presume she’s the burdened and long-suffering partner to a disillusioned and pompous man, but it’s hard to detect much from her blank expression and unassuming comments. The much-awaited second volume was published in French this summer, taking off where Riad left off in the mid-80s, and using the same colour-coded scheme to signal the country of narration (yellow for Libya, blue for France, and pink for Syria). The ex-columnist at the satirical Charlie Hebdo has produced a work that is more sensitive and earnest than his biting, sharp-edged commentary at the weekly magazine. Unfortunately, the first book ends too abruptly, signaling to the reader that there’s more to come. (“To be continued” seems hastily tacked on at the end). Thus, one hopes that the second volume is translated into English soon, so we can once again follow little Riad as he learns to tell a story, revealing himself to be a sharp interpreter of his surroundings by transforming his vision into a social and personal document of crisis and resilience. This entry was posted on August 31, 2015 by nahrain in .